Timothy Hull in "Present Perfect", curated by Andrea Hill, at The Goma, November 6 - December 24, 2014, with an opening reception on November 6 at 8pm. Laura Parnes in "Readykeulous by Ridykeulous: This is What Liberation Feels Like", organized by Nicole Eisenman and A.L. Steiner, at the Institute of Contemporary Art, University of Pennsylvania, on view September 19 - December 28, 2014. 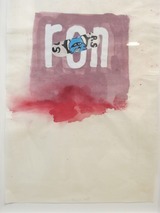 Featuring correspondence and works by: Kathy Acker, Abe Ajay, Mike Albo, Artists Poster Committee (Frazier Dougherty, Jon Hendricks, Irving Petlin), Sadie Benning, Kathe Burkhart, Nao Bustamante, Jibz Cameron, Leidy Churchman, Zackary Drucker, Nicole Eisenman, Tracey Emin, Daniel Feinberg, Louise Fishman, Glen Fogel, Hollis Frampton, Dawn Frasch, Simon Fujiwara, Gary Gissler, Guerilla Art Action Group (G.A.A.G. ), Harmony Hammond, Kathleen Hanna & Toby Vail, K8 Hardy, I.U.D., Donald Judd, Zoe Leonard, Ali Liebegott, Lucy Lippard, Catherine Lord, Bernadette Mayer, Allyson Mitchell & Deirdre Logue, Eileen Myles, Chuck Nanney, Genesis Breyer P-Orridge, Laura Parnes, William Powhida , Adrian Piper, Ridykeulous, Carolee Schneeman, Jack Smith, Nancy Spero, Nicola Tyson, Kara Walker, and David Wojnarowicz. LOS ANGELES — Laura Parnes’s four-disk video series Blood and Guts in Hollywood exposes the idealized teenage dream for what it is: A boring, vapid fantasy of “love” that is marketed and sold to an audience of young dreamers searching for their soulmate in the illusions of silver screens and false idols. 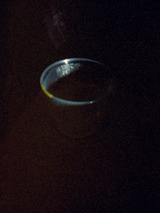 Leading up to the part where idyllic bubbles burst, Parnes’s work functions as part experimental film, part video art, and part surreal re-enactment of Kathy Acker’s groundbreaking book Blood and Guts in High School (1984), which influenced a generation of feminist writers, thinkers, and makers. Blood and Guts in Hollywood: Four Works by Laura Parnes is available through the Video Data Bank. The renowned organization Artadia: The Fund for Art & Dialogue celebrates 15 years of support for visual artists with a vibrant show presenting the work of 20 Artadia Awardees at Longhouse Projects in downtown Manhattan. The exhibition is curated by former Swiss Institute director Gianni Jetzer and includes artists from Artadia's six US program cities: Atlanta, Boston, Chicago, Houston, Los Angeles, San Francisco as well as Artadia NADA Awardees. While the artists work in a large thematic range, they all share a conciseness and singularity in their visions, making them exemplary voices in their communities. The show is entered through Bill's Junk, an extraordinary shop run by artist Bill Davenport; where all items on display are for sale. In the same DIY-spirit, a "Crochet Jam" workshop with the local community will be organized by Ramekon O'Arwisters. Drawings by Stanya Kahn in the first gallery pair sexuality with humor, turning the dynamics of relationships into a cartoon. The works of Deb Sokolow and Rachel Hecker share a fascination for handwritten notes, with very different outcome. Meg Cranston combines found imagery with abstract forms, layering real signifiers and content in her canvases. A projection space offers successively three different film works: a video by Kerry Tribe based on a live performance of a scene borrowed from a structural film, a multi-channel video installation by Nicole Miller which opens up a window on computer screen manipulations as if performed live, and a 16mm film installation by Robbie Land is based on a motion study of the Northern Hemisphere night sky, mirroring the universe. Several artists such as Jillian Conrad, Stephen Lapthisophon, Margaret Lee, Eamon Ore-Giron and Brion Nuda Rosch make sculptures out of ephemeral or found materials, oscillating between the ordinary and the extraordinary. Artadia's 15th Anniversary exhibition will expand into the nearby NYC Fire Museum. Weston T Teruya interviews exponents of the firefighting community (see information below) and recreates archival and everyday objects as a way of highlighting the community's relationship to the city's other residents. Black and white photographs by Vaughn Elaine Sills portray people through their gardens in Southern states. By contrast, Stephen Tourlentes documents prisons at night turning them into a phenomenon of light and shadow. A few artists work directly in public space. Ryan Foerster's newsprint poster installation will be found on the firewall behind the parking lot on the corner of Spring and Hudson Streets. Cayetano Ferrer will display an advertisement on Spring Street sourced from a brochure to address gambling addiction in Las Vegas. Helen Mirra will walk from one place to another in New York City most days during a three-week period, focused on developing the so called half-smile. Artadia's 15th Anniversary is a showcase of the vivacity of American contemporary art at the beginning of the 21st century. The exhibited artists are diverse in background, mediums in which they work and stages of their careers and share a dedication to practice and a level of excellence that demonstrates the best of what is being made in the country. Drew Conrad is Clocktower's artist-in-residence for the month of August 2014 at Pioneer Works. Midway through his residency, he took a break from his ever-changing fabrication to chat with host Jeannie Hopper about his printmaking degree, craft elements, and his do-or-die transition to large-scale free standing sculptures. Jeannie and Drew talk about how nostalgia and Southern Americana pervades these works, begging viewers to construct their own narrative. 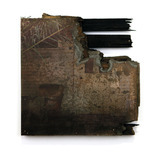 The artist gives his take on dreams and memories as well as insight into the works' deterioration. During his Clocktower residency at Pioneer Works, Brooklyn-based contemporary artist Drew Conrad creates a free standing, large scale, sculptural ruin incorporating elements of highway billboards, tourist traps, directional markers, and roadside attractions. The artist's work will be presented at the August 10th Second Sunday event at Pioneer Works. 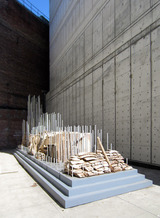 Drew Conrad's studio is located on the third floor of Pioneer Works in Brooklyn, just a few steps from the Clocktower Radio studios. His project expands beyond his typical focus on derelict, domestic spaces, and into an exploration of exteriors. 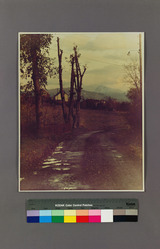 Using signage familiar to any traveller who has wandered down seemingly endless highways, as well as new materials that undergo a process of aging and deterioration by hand, Conrad touches on themes of memory, history, time and place. The sculpture is part of a new investigative body of work, leading into his upcoming solo show at Fitzroy Gallery in New York. 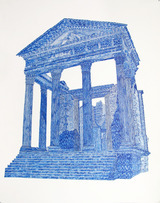 Born in 1979 in Rock Hill, South Carolina, Conrad received his BFA from the University of Georgia and his MFA from Parsons School of Design in 2005. In 2012, he was awarded the MacDowell Fellowship and the Vermont Studio Center Fellowship in 2014. 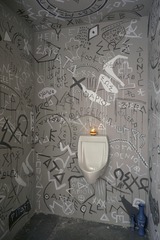 He has had solo exhibitions at Fitzroy Gallery, New York (2012) and Get This! Gallery, Atlanta (2013), and group exhibitions in The House of the Seven Gables at the University Galleries of Illinois State University and in Second Life at The Kentucky Museum of Arts and Crafts. His work has been featured in such publications as Burnaway, Art in America, Bad At Sports, and TimeOutNY. 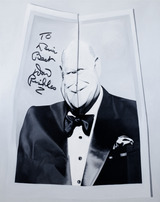 Bid now on a portrait by Timothy Hull! 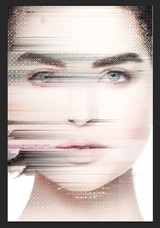 The Narcissists Ball features artists who will create work in support of BOFFO, a nonprofit public arts organization based in New York City. Instead of purchasing an existing piece of art, bidders have the unique opportunity to commission a portrait from an artist. 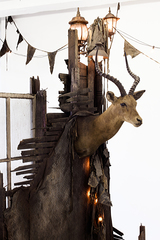 The Kentucky Museum of Art and Craft (KMAC) presents Second Life- the Summer exhibition featuring taxidermy and other uses of the vestiges of animate beings. Featured artists: Jennifer Angus, John James Audubon, Bigert & Bergström, Drew Conrad, Mitch Eckert, Carlee Fernandez, Charles Fréger, Adam Fuss, Kay Polson Grubola, Edward Hart, Laura A. Hartford, Jochem Hendricks, Damien Hirst, Jacob Heustis, Lonnie Holley, Jessica Joslin, Katie Parker and Guy Michael Davis, Vladimir Peric, Rosalie Rosenthal, Andrea Stanislav, Turner + Guyon, Meyer Vaisman. Laura Parnes interviewed by Jane Ursula Harris in the Huffington Post. Coming in early 2014! Video Data Bank’s latest DVD Box Set Publication — "Blood and Guts in Hollywood: Four Works by Laura Parnes". NURTUREart’s benefit features 260 works of contemporary art, delicious food and wine, and a lively mix of artists, collectors, curators, and other art lovers in attendance. This year, NURTUREart’s Annual Benefit will be held in the spacious Bernarducci Meisel Gallery in midtown. In addition to the Benefit Exhibition, they will present an exhibition of work by the talented students in their Education Outreach programs. Your purchase of a ticket at any level will support NURTUREart and help continue to present programs that serve the needs of emerging artists, emerging curators, and students. Johanna Fateman will join us on Sunday, October 20 at 7pm to discuss the soundtrack she created for County Down as well as her current music and writing projects. Johanna Fateman is a writer, musician, and owner of Seagull Salon in New York. She is a founding member of the feminist band Le Tigre. Since the band's extended hiatus in 2005 she has continued to produce and write music for other artists. 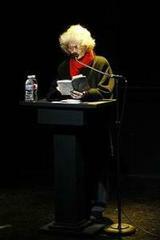 Her cultural criticism has appeared in publications such as Artforum, Bookforum, and Apology. The new book The Riot Grrrl Collection (Feminist Press) includes both her 1997 zine Artaud-mania. . . the diary of a fan and a new personal essay that chronicles her experience with the riot grrrl movement in the 90s. She is currently writing a book about the feminist author and activist Andrea Dworkin. Drew Conrad in "The Emory Wheel"
TWO x TWO for AIDS and Art is an annual contemporary art auction held in the Richard Meier-designed Rachofsky House in Dallas, benefiting two organizations—the Dallas Museum of Art and amfAR, The Foundation for AIDS Research. Timothy Hull in "Tomorrow is Never", curated by Jacob Feige, at Stockton Art Gallery, September 4 - November 15, with a reception on September 29, 1-3pm. Laura Parnes's exhibition "County Down" at Fitzroy Gallery reviewed in The New York Times! Drew Conrad's exhibition "Backwater Blues" at Get This Gallery reviewed in Burnaway Magazine! September 25, 7pm - Gravity & Grace, Chris Kraus' legendary film that inspired her writing career, with an introduction by Jim Fletcher. October 1, 7pm - Mary Hartman, Mary Hartman, a screening and panel discussion about the quintessential 70's series that anticipates the future of television, with Claire Barliant, Michael Martin and more. Timothy Hull in The New York Times! Timothy Hull's drawing featured in The New York Times! Drew Conrad in Burnaway's "Lunches With Artists"
Drew Conrad interviewed for Burnaway's "Lunches With Artists! Burnaway's Lunches With Artists: Gyun Hur and Drew Conrad! 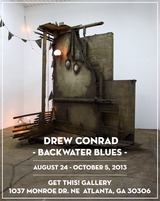 Drew Conrad's solo exhibition Backwater Blues will open at Get This! Gallery in Atlanta on August 24. Michelle Elzay's single channel video Noon is included in Gulf, curated by Casey Ruble at Center Gallery, Fordham University, August 14 - September 19. The reception for the show will be held on September 4, 6-8pm. Sean Dack is included in Galeria Impakto's group show Lumino-City in Lima, Peru. 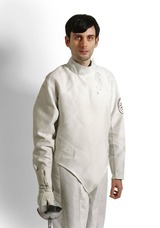 Congratulations to Sean Dack, who was nominated for the 2013 Louis Comfort Tiffany Biennial Award! 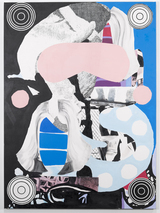 Sean Dack is included in Saatchi Gallery's group show Paper, from June-September 2013. "Secession Secession" included in Art in America's The Lookout: A Weekly Guide to Shows You Won't Want to Miss! Secession Secession was included in Goings on About Town in The New Yorker! 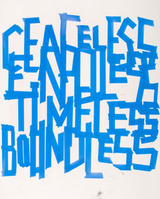 Gibb Slife is included in More Young Americans, curated by Susanne van Hagen, Marc-Olivier Wahler and Miguel Macedo Basto de Carvalho, at L'Enclos des Bernardins, Paris, May 17 to June 22, 2013. 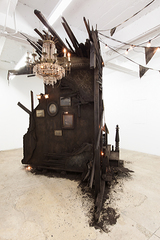 Congratulations to Meg Cranston for receiving the 2013 Artadia NADA New York Award, which is in recognition for her installation Emerald City at NADA NYC 2013! Meg Cranston's Emerald City is featured in the New York Time's review of NADA NYC, A Roving Art Fair Finds a Home Court Advantage; NADA NYC Art Fair at Basketball City! Gibb Slife will be exhibiting in Bass! 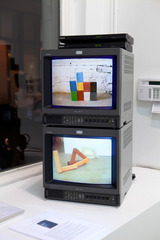 How low can you go?, curated by Amir Shariat at Leila Heller Gallery, from May 8 - June 1, 2013. 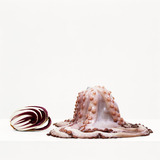 Michelle Elzay's exhibition Devour and her piece Radicchio Octopus are featured in Art in America's Shows You Won't Want to Miss this week, April 25! 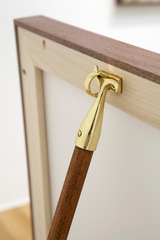 Timothy Hull is participating in Sculpture Center's Lucky Draw on Tuesday April 9. Colby Bird, Drew Conrad and Georgi Tushev are participating in the 9th Annual BAM Auction, which will be on view at The Hole from April 23 - 28. 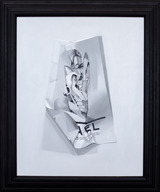 Colby Bird and Sean Dack are participating in INCOGNITO 2013 at the Santa Monica Museum of Art, May 9 and 11. Come see Fitzroy Gallery and Michelle Elzay's Devour after-hours on Friday the 8th, from 6-9, for Long Night L.E.S.! Drew Conrad current exhibition, "Ain't Dead Yet", will be part of the Lower East Side Art Gallery Tour featured in Timeout Magazine. Fitzroy Gallery is pleased to announce that Colby Bird's work will be included in the exhibition Static & Scrim, at Cooper Cole Gallery. Static & Scrim will be on view January 31 through February 23, 2013. Fitzroy Gallery is pleased to announce that Drew Conrad's work will be included in the exhibition based on Nathaniel Hawthorne's novel, The House of the Seven Gables. The House of the Seven Gables will be on view February 23 through April 7, 2013 at University Galleries of Illinois State University. 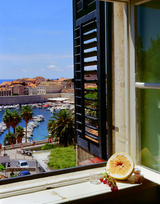 Fitzroy Gallery is pleased to announce Georgi Tushev's participation in Lucie Fontaine's project, "Estate". His work will be on display at Marianne Boesky Gallery's New York Upper East Side gallery space at 118 East 64th Street, a historical functioning three-story townhouse. Lucie Fontaine and her employees will live in the house on August 15 and will leave on October 15. In the first month Lucie Fontaine and her employees will invite artists to live with them in the space and display their works within this frame, which – enriched by furniture selected by antique dealer Jon Howell – will be partly domestic and partly commercial. The works will be gathered in a way that is deliberately spontaneous and therefore the list of the artists included will be released only on the day that Lucie Fontaine will open to the public on September 15. 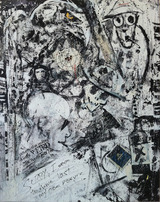 Fitzroy Gallery is pleased to announce Colby Bird's acceptance at Art Basel Miami Beach Art Positions, December 6 - 9, 2012. Each year our event brings contemporary artists and collectors together to help support Locust Projects. The “Smash and Grab” event is Locust Projects’ largest source of revenue for the year. 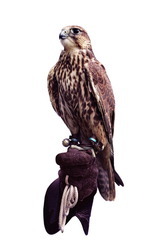 The proceeds provide essential funding for programming and special projects. How it works: There is no other fundraiser quite like this one. The event revolves around a raffle , for which over one hundred local, national and international artists have donated artwork — enough so that each raffle ticket is guaranteed to win an artwork. Tickets are drawn at Random during the party, with the winner getting their choice of artwork (i.e, first called gets first pick, and so on). The result is a fun way to place artwork into collections, connect with Miami’s art community, and support Locust Projects. September 28th and 29th at 8 pm. Fitzroy Gallery congratulates Drew Conrad on his residency at the prestigious MacDowell Colony. 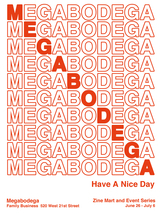 PLEASE VISIT US AT OUR NEW LOCATION AT 195 CHRYSTIE STREET. JOIN US FOR THE OPENING OF GIBB SLIFE, "THICK AS A BRICK" ON SATURDAY, SEPTEMBER 15, 6 - 8 PM. 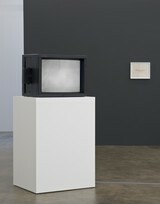 Michelle Elzay in "Drawing a Blank (On Forgetting, Refusal, Censure and Impotence)" at David Kordansky, opening July 14! *This High Line Art Performance moves along the High Line. Please arrive on time. This High Line Program is free and open to visitors of all ages. No RSVP required. Sean Dack at I-20 Gallery, May 24! Georgi Tushev's exhibition "Ace of Spades" featured in Cool Hunting. 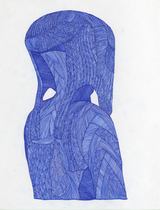 Fitzroy artist Colby Bird's work in the Capricious Benefit Auction! Fitzroy Gallery participating in Artlog's Artcrawl! SoHo is New York’s original art capital. Before million dollar lofts replaced the artist studios, crack dens, and nightclubs, the streets between Broadway and West Broadway were the playgrounds of Warhol, Haring, Basquiat, Boone, and Castelli. With Artlog and Grey Area now ensconced in a SoHo building once occupied by Carroll Dunham, Laurie Simmons, Roberta Smith, Terry Winters, and Cindy Sherman, it’s hard not to think of the time when the area was the “center of the universe.” Only a few investment-savvy and lucky artists remain, but a host of galleries, non-profits, and now online art businesses tucked between Prada and Bloomingdales have been in SoHo from weeks to decades. While the LES seems to attract more notice, companies like Artlog, Grey Area, 20×200, Paddle 8, Interview, and Art in America and galleries like Suzanne Geiss and Clifton Benevento are creating a serious SoHo revival. 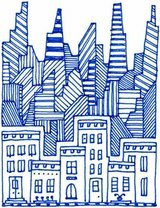 On Saturday, March 31st Artlog’s popular art crawl series takes art enthusiasts on a special journey through the new and old SoHo. 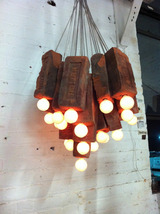 Fitzroy artist Robert Zungu's work in Lucky Draw 2012! Lucky Draw - a one of a kind art raffle - guarantees that each and every ticket holder walks home with a work of art! This fast-paced one night event offers first time and seasoned collectors access to artworks by top emerging and established talent. All proceeds benefit SculptureCenter. Order of selection determined by random drawing. The draw will commence with a live auction. Gibb Slife and Georgi Tushev work on view at the Santa Monica Museum of Art! With original artworks by 500 contemporary artists, INCOGNITO features work by luminaries including John Baldessari, Mark Bradford, and Judy Chicago, as well as a host of emerging talent. This spirited evening encourages attendees—from sophisticated art patrons to first-time collectors—to trust their instincts as they select treasures that speak to their unique aesthetic. Each piece is signed on the back and the artists’ identities are revealed only after purchase. 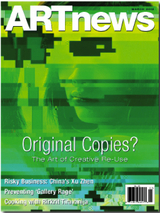 Sean Dack's "Glitch Girl #3" is featured on the cover of the March issue of ARTnews, alongside the article "Original Copies? The Art of Creative Re-Use", by Barbara Pollack. Join us for PILOT EPISODE, the last of the concerts in Fitzroy's "For January, just ask Alice" exhibition. Welcome aboard Pilot Episode, a perpetual business-class lounge Opera. Live music, prop-comedy poetics, simulated refreshment carts, etc. 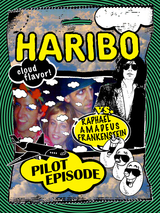 HARIBO is the combined raw flavors of multi-purpose artists Raul De Nieves, Jessie Stead, and Nathan Whipple. A master blend of early 21st century performance options, HARIBO released their debut single "Cookies n' Cream" in 2011 and have spent the last couple of years touring Brooklyn and select cities internationally, presenting their trademark cross-genre pop-operas to sold out crowds. HARIBO have appeared in numerous motion-pictures and are currently working on their epic sophomore effort "Illuminati Island" and several paintings. Raphael Amadeus Frankenstein (R.A.F.) is a contemporary keyboard composer working in the modern style. Born in Milan and later adopted by Mormon families, R.A.F. studied at Julliard School of Music, periodically working with such luminaries as "The Boss" and composing scores for hit TV shows such as "Who's the Boss?" Renouncing the concert hall and determined to "take it out for the people" R.A.F. can be found performing his original works in diversified venues including diplomatic receptions, birthday parties, gallery openings, jazz outlets and piano lounges. 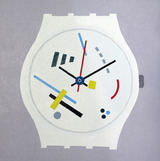 The 2nd LP from Messages is due out later in 2012 from De Stijl Records. The concert series is presented in conjunction with the exhibition "For January, just ask Alice", curated by Amy Granat and Joao Simoes. 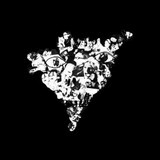 A limited edition LP of all the concerts will be available in March. 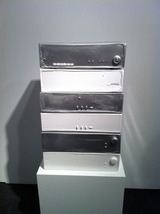 NYC gallery Fitzroy had part of their booth dedicated to new canvas prints and hi-fi stacks by Sean Dack. 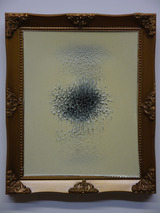 Georgi Tushev: Strange Attractor presents paintings and a work on paper that investigate the effects of oil paint when exposed to extreme magnetic fields. Tushev’s signature works explore the dynamism of pigment, the physical possibilities of paint, and the transformation of matter. He uses pigments that contain high concentrations of iron that, when exposed to magnets, create textured, three-dimensional surfaces, where paint seemingly explodes off the picture plane. Tushev’s works on paper are made through a similar technique, though in water, where the magnetic fields separate the watercolor pigments into areas of black, white, and gray and create concentric rings and circular patterns. Tushev’s abstract pictorial space is evocative of natural forms and biological processes. On the macro level, the work appears geological, celestial—like lunar terrain. On the micro level, it suggests a view from under the microscope—of cell division and mitosis. Tushev’s method is inherently experimental; his compositions are subject to varying degrees of chance and instability. His long-time scientific testing of material has resulted in works that are arresting in form and astonishing in process. 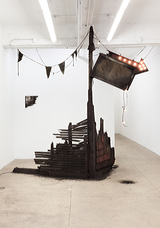 Strange Attractor is the first Los Angeles show for Tushev and his debut museum exhibition; it also marks the inauguration of NY/LA, the Museum’s new exhibition series that connects contemporary art on both coasts. 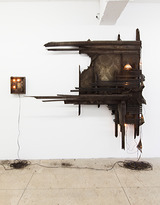 Strange Attractor is organized by New York-based curator Jeffrey Uslip. Tushev (b. 1969) was born in Bulgaria and lives and works in New York City. He earned a graduate degree from the National Academy of Fine Arts, Sofia, Bulgaria, and completed a residency at the Santa Fe Art Institute, New Mexico, and a Master Class of Painting in Amsterdam with painter Markus Lupertz. Tushev’s work has been represented in solo exhibitions in San Francisco at Noma Gallery and in Sofia, Bulgaria, at XXL Gallery. Thursday, January 26, 7:30 - 10pm. E-N-E-R-G-Y will perform live at Fitzroy Gallery, accompanying the exhibition For January, just ask Alice, curated by Amy Granat and Joao Simoes. E-N-E-R-G-Y is Coley Brown and Joseph Heffernan. 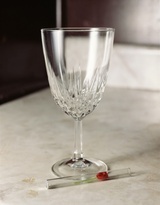 Gibb Slife in "Blind Cut"
Marlborough Chelsea is pleased to present "Blind Cut," a group exhibition curated by Jonah Freeman and Vera Neykov. The works included address diverse notions surrounding the themes of fiction or deception. This collection, spanning several generations from Dada to the present, poses questions regarding identity, authorship, originality and reality. The practices and methodologies range from: depictions of fictional places, imagined personas, inaccurate histories, invented language, urban utopias and complex, unrevealed material gestures. Michelle Elzay in SaksPOV "Fashion on the Fly"
In this week’s Fashion on the Fly, SaksPOV invited artist Michelle Elzay to become our muse in painterly inspired clothes by Marc Jacobs, Stella McCartney, Jean Paul Gaultier and Haider Ackerman among the stellar Post-War and Contemporary art offerings at Christie’s New York. Amid displays of the finest works of contemporary art by Donald Judd, Mike Kelly and Jim Hodges, Elzay, whose own artistic mediums range from photography to painting and video, channeled iconic 20th Century muse and patron of the arts Marchesa Luisa Casati. Elzay herself finds muses in various facets and fashion is certainly one of them. 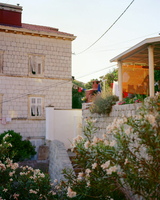 Her work has been exhibited in shows at PS1, Stephen Kasher Gallery and the Wadsworth Atheneum Museum of Art. Elzay is also a co-owner of Sparrow Design, a collaborative design workshop fusing the arts with interior design. Up next for Elzay is an installation of her new paintings at Fitzroy Gallery’s booth at NADA Miami Art Basel from December 1-4. Most memorable trip to Saks was…I’m sworn to secrecy; but I can say there were shoes involved and an escalator. Dr. Bonners & a bit of Arpège or Chanel. Favorite fashion designers are… People currently on my mind are: Dries van Noten, Rick Owens, Maison Martin Margiela, Anne Demeulemeester,, Maria Cornejo, Paul Harden. 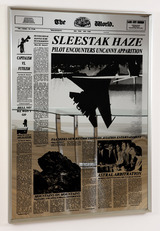 Colby Bird in ArtForum's "Critic's Picks"
View of “Dust Breeds Contempt,” 2011. Parts of wooden chairs, small blocks of broken granite, brightly painted flattened cardboard boxes, a photograph of Easter eggs, and fruit, both real and plastic, are largely what Colby Bird’s current exhibition is made of. While all of these materials retain and assert their identities as everyday things in the world, Bird proposes that the object’s function as art is determined less by its media than by its proximity to other works and by the viewer’s own subjectivity. The exhibition has an interactive component as well; with the help of the gallery attendant, the viewer can rearrange a selection of works on a wooden table that juts out of the wall, which serves as a site for photographs to be placed and replaced. The viewer becomes a cocurator, as each photo activates the space in startlingly new ways. Through a constant consideration of placement and out of a wide range of materials, Bird has assembled an elegant and cohesive exhibition. Brooklyn, NY: Internationally acclaimed dancer and choreographer Simone Forti presents an evening of movement and spoken word October 28, 8pm and an artist talk on October 26. Forti will perform a “News Animation”, an improvisation in movement and language exploring thoughts and feelings as they come, in relation to the world. In Striding Crawling, a piece based on Forti's animal movement studies of the 1960's & 70s, Forti will be joined by French dancer Claire Filmon, artistic director of Paris based dance company Asphodele Danses Envol. This event will feature recorded sound by Peter Van Riper and Forti will be playing her hardware store bought molimo horn, fashioned from a traditional instrument of the Mbuti Pygmy of the Ituri Forest. Forti will also read excerpts of her soon to be published new manuscript, The Bear in the Mirror, an experimental mosaic of approaches to writing about generations of her family, interwoven with thoughts on animals and the roots of dance behavior. October 26, 8pm, Forti will lead an artist talk. Audience members will get Forti’s unique perspectiveon her work in an intimate, conversational setting. Tickets are $5 or free with the purchase of tickets to her October 28th performance. 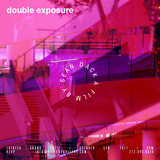 Sean Dack's film Double Exposure will premiere at Tribeca Grand Hotel on Wednesday, October 5. There will be screenings at 8pm and 9pm. RSVP to info@fitzroygallery; seating is limited. 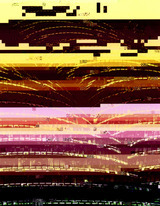 In Double Exposure, Sean Dack contrasts two worlds: Expo 2000 in Hannover (or rather, its relics); and the recently concluded World Expo in Shanghai. A duality forged over a decade. A decade that has seen immense change within the ever increasing globalized society, from the vast sweeping changes within online and media culture to the rising specter of international terror networks and lastly, the emergence of China as the newly predominant force of trade and economics, usurping the West's tight control of this sphere of influence. Within this time frame we have two encapsulations of progress and culture. One is a remnant, a crumbling ruin, sitting in the middle of Germany. It is the 2000 World Expo site, and while a lot of the pavilions have been taken apart and shipped to their respective countries others have just simply been torn down or left to weather the elements with no upkeep to speak of. The site is a sprawling overgrown landscape and the only recent additions seem to be an Ikea simply because of the ample space available. On the flip side of the scenario we have the World Expo in Shanghai, China: a huge undertaking of scale, proportion and of course, capital. Each country's pavilion and its content is tightly controlled by the Chinese authorities while still becoming total a spectacle hoping for the progress of unreachable utopia. The sheer mass of people who have visited the site (mostly Chinese) is staggering and the long wait lines and tedious time spent idling and not actually experiencing anything from the various world's cultures could be a metaphor for our rapidly shrinking world, the overcrowding of this small planet and the unsustainability of our current trajectory as a people. The Hannover site is a time capsule. While it is looking backward it simultaneously becomes a projection into the future. "The future of now that simply snuck up on us." The Shanghai portion therefore occupies present, past and future. One is informed by the past and can see where the future is heading. It doesn't look as promising as we might be led to believe. Hans Castorp muses "...space, like time engenders forgetfulness..."
Adam Putnam was born in New York City, where he lives and works today. 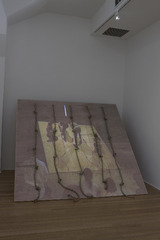 Putnam's work has been included in exhibitions worldwide, most notably the 2008 Whitney Biennial; the Busan Biennial, South Korea; Art Statements, Basel; MoMA/P.S. 1, New York; The Astrup Fearnley Museum, Oslo, and in 2009, curated a Martin Wong exhibition entitled Everything Must Go at P.P.O.W. 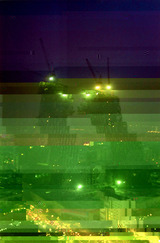 Upcoming projects include a solo exhibition at Taxter and Spengemann, New York, and Locust Projects, Miami. Seth Kelly lives and works in Brooklyn and Queens. 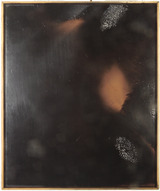 His work have been included in numerous group shows including Greater New York at P.S. 1 and several solo exhibitions with Derek Eller Gallery. Recent work has included performance collaborations with Karsten Krejcarek, and the curatorial project, The Audio Show at Friedrich Petzel Gallery, New York. 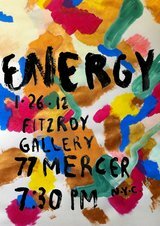 Fitzroy Gallery is located at 77 Mercer Street, between Spring and Broome Streets in Soho. For further information, please call 212.343.8670 or email info@fitzroygallery.com. In its first ten years, Highpoint Center for Printmaking has become a vibrant part of the Twin Cities art scene. 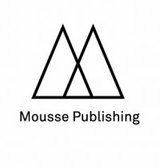 Less well known is its national and increasingly international stature as a publisher of exquisitely made prints. "Highpoint Editions--Decade One" celebrates its professional collaborations with fine artists of many stripes. The diversity and the quality testify to Highpoint's master printer, Cole Rogers, and his talented staff's ability to work with artists to realize their visions. The MIA is delighted to salute Highpoint and to present highlights from its production to a broad public audience. Featured artists will include: Carlos Amorales, Santiago Cucullu, Rob Fischer, Adam Helms, Cameron Martin, Julie Mehretu, Clarence Morgan, Lisa Nankivil, Todd Norsten, Chloe Piene, Jessica Rankin, David Rathman, and others.